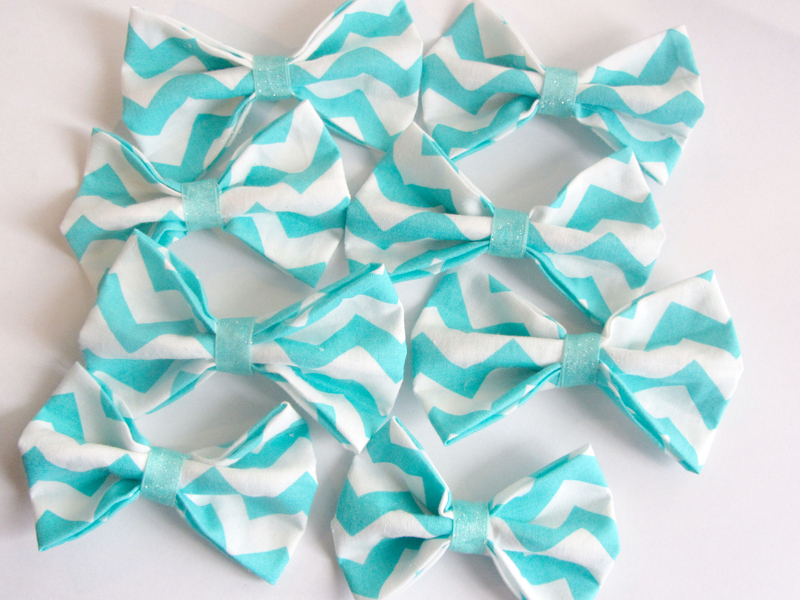 Fabric Bows – Smileybug Bows & Co.
* So much blue, so much fun. * The little flowers remind me of the Forget Me Not flower. Small, but still there. * Bow measures 4″ wide by about 2 1/4″ high. 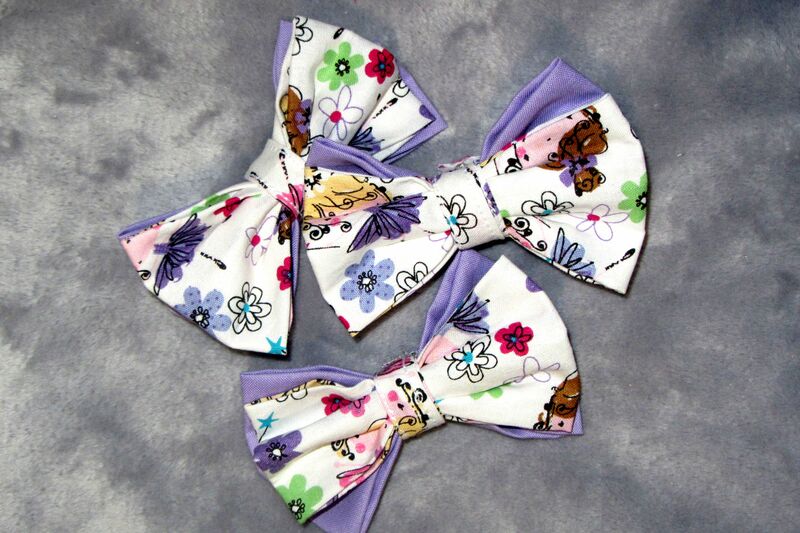 * If you’ve got a little girl who loves to spin and twirl, this is the bow for her. * Bow measures 4″ wide x 2 1/4″ tall. 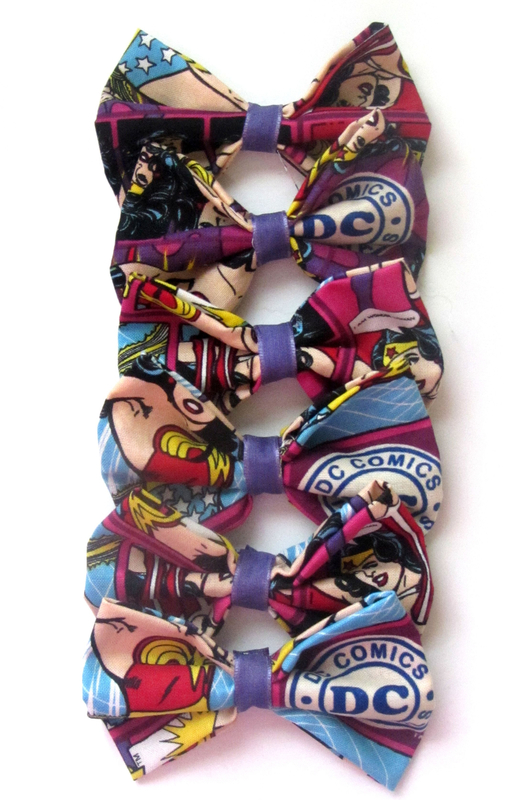 *Know a fan of Wonder Woman or DC Comics? 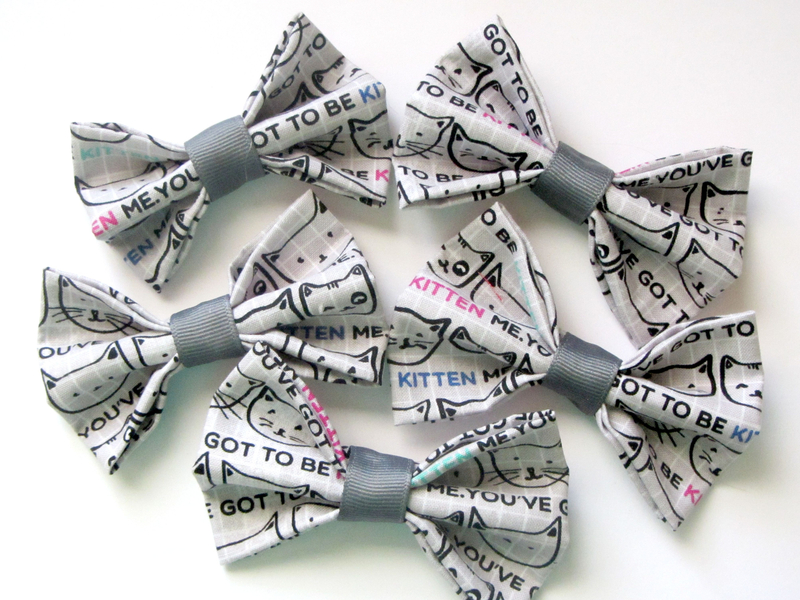 This is the bow for her. Every girl can be a Wonder Woman. 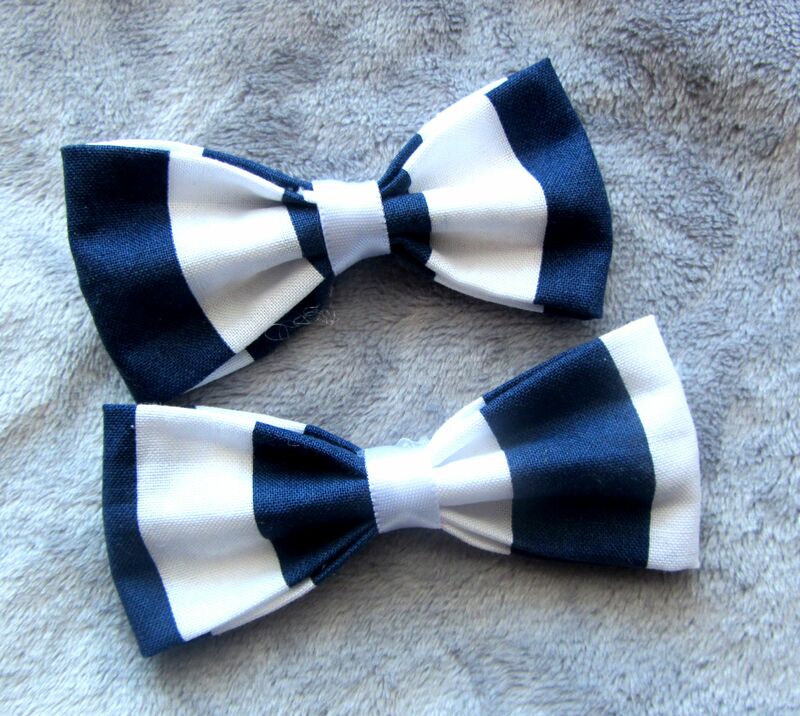 * If you dream of France and seeing the Eiffel Tower, this bow is a great match. 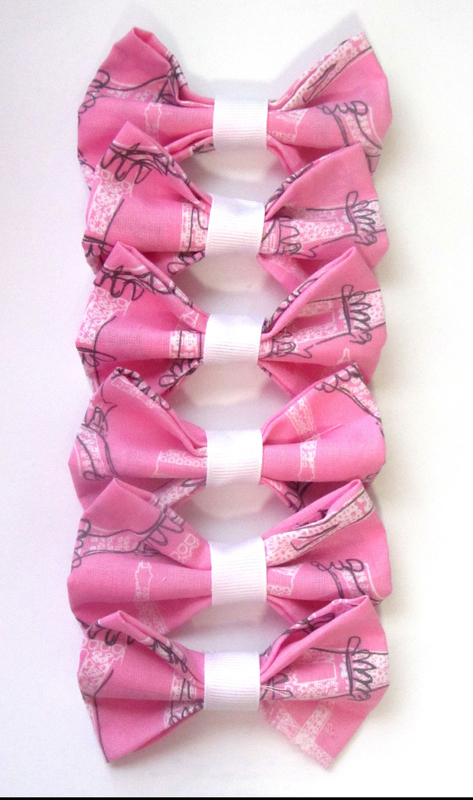 * The sketched Eiffel Tower makes this pink bow, just a little more fun. * Words are accented in blue, pink and teal. * Bow measures about 4″ wide x 2 1/2″ tall. 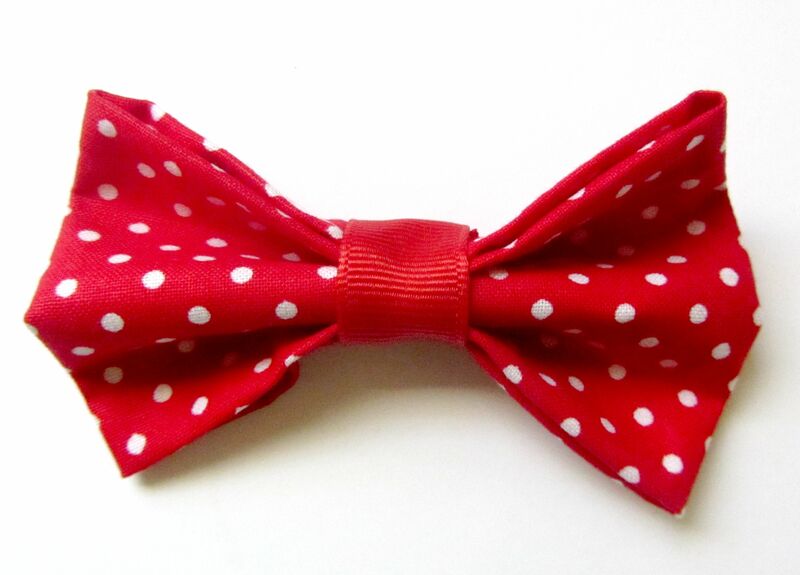 * Classic pairing of red and white polka dots. It’s sure to thrill anyone who loves the color red. 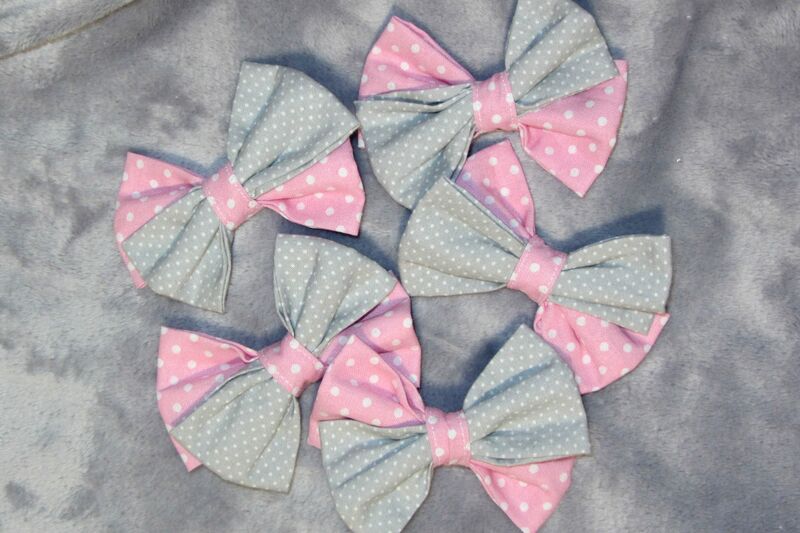 * I loved the pattern on this fabric when I saw it, so I had to grab it and make some bows. 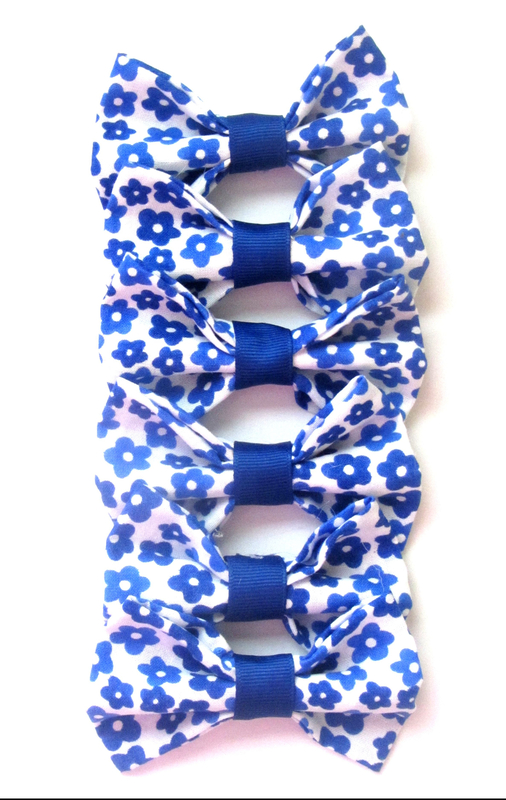 * Such a cool shade of blue and complimented by a glittery ribbon keeping it all together. * Bow measures about 3 3/4″ wide x 2 1/2″ tall. * Such a fun color for Spring. * The little triangles just add to the fun of this pattern. 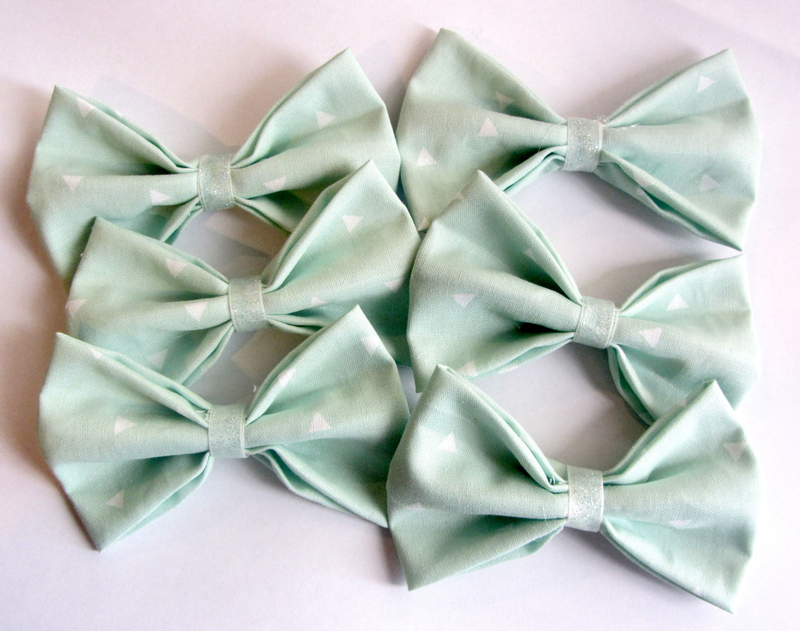 * Complete with glittered ribbon around the middle. * Bow measures about 4″ wide by 2 3/4″ tall. 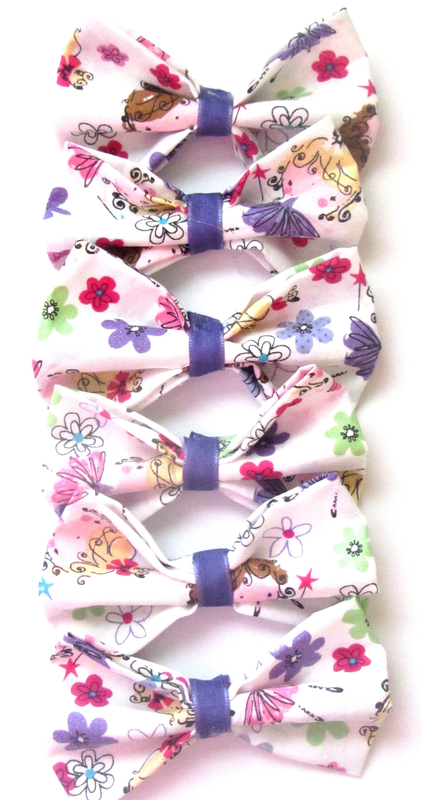 * A ‘dressed-up’ version of our Pretty Ballerina bow. 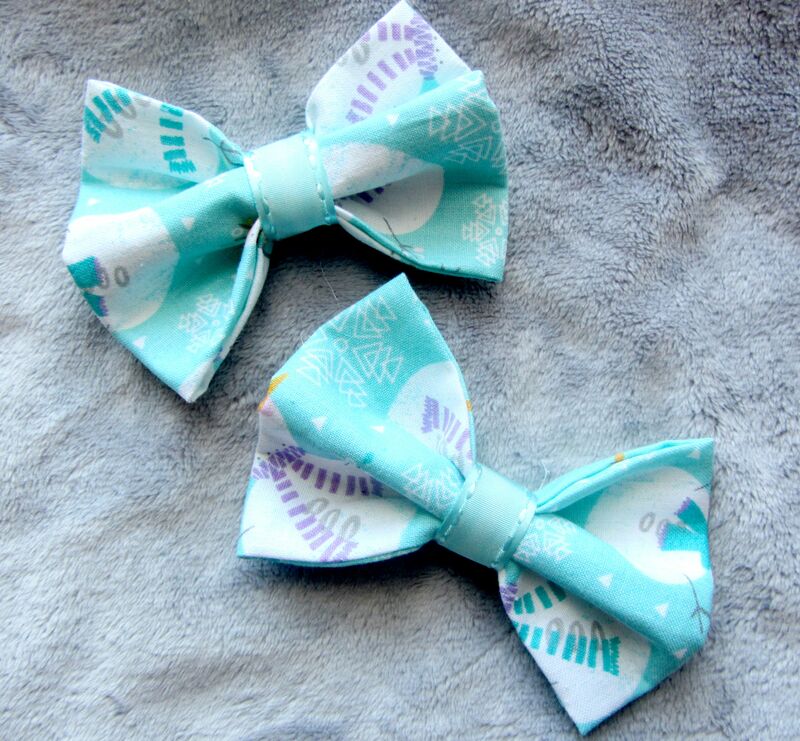 * The same fun print is used for the main bow, but is backed but a calm lavender. * Bow measures about 4 1/4″ wide x 2 3/4″ tall. 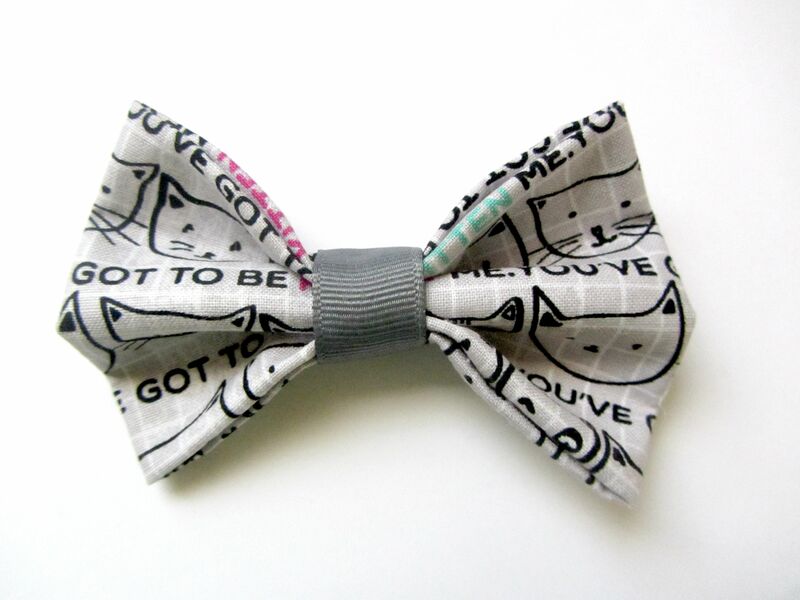 * This bow is sure to please with the fun mix of grey and pink. * Bow measures about 3″ wide x 3 1/4″ tall. * She’s ready for a day of sailing with this bow. * Perfect for more dressy ocassions. 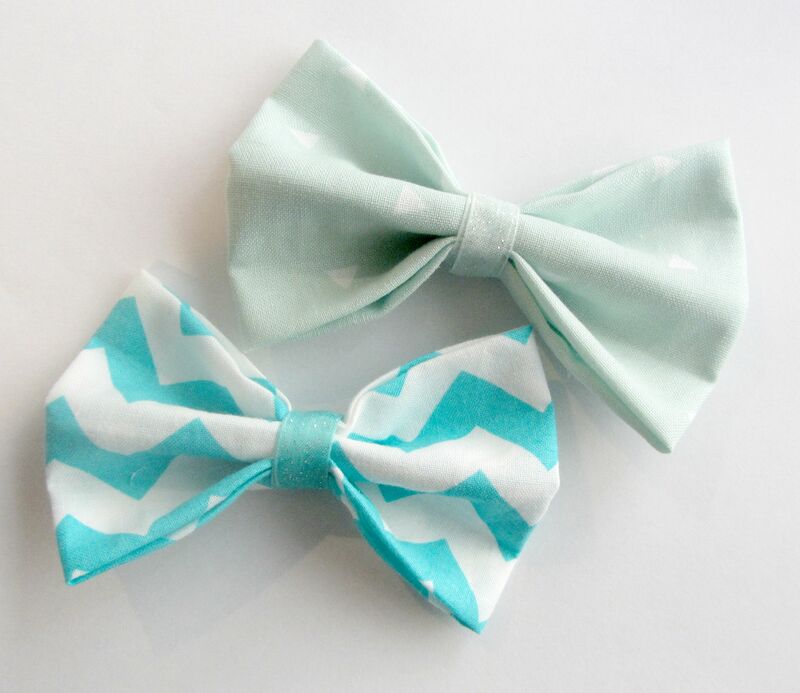 * Bigger bow measures 3 1/2″ wide x 1 1/2″ tall. * Smaller bow measures 3″ wide by 1 1/2″ tall. * A subtle blue look, just perfect for winter. * Cute snowmen add a bit of whimsy. * Bow measures 3 1/4″ wide x 3″ tall. 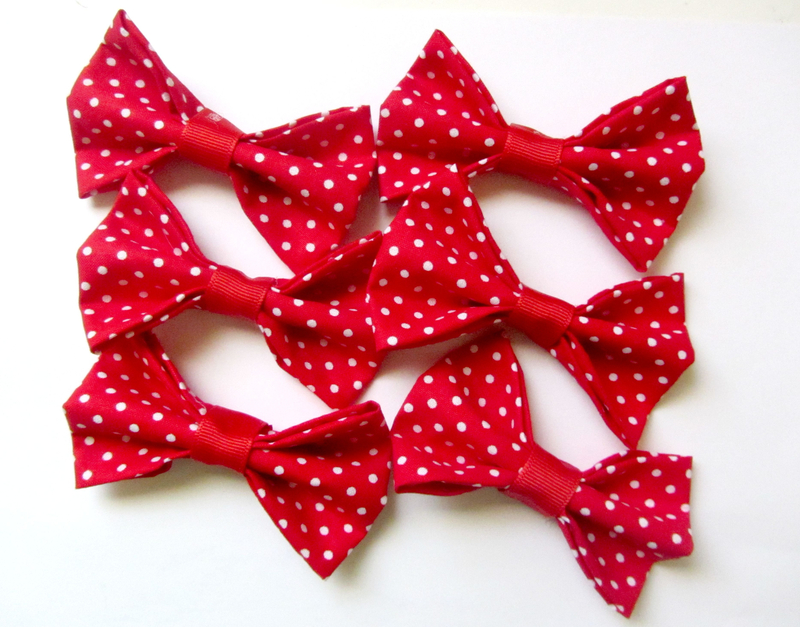 Look for more Fabric Bows in our Holiday Bow section, Tiny Friends section and our Stuffie & Me page.